Fortunately, there are plenty of resources on the web with useful information for all stakeholders -- parents, students, educators, and administrators -- to help support a successful transition to the next major stepping stone. Here are a few for each milestone in the K-12 pipeline and beyond. How to Help Your Child Transition From Kindergarten to First Grade: Entering elementary school can be intimidating for young children. This article, from the Children's Literacy Initiative, offers some conversation starters and ideas for easing the transition. Transitioning From Kindergarten to First Grade: It’s Not Always Easy: This tip sheet from the National Association for the Education of Young Children might be brief, but the ideas are useful. Plus, there are helpful links to additional sources for ensuring a smooth kindergarten-to-elementary transition. Transitioning to Elementary School: Tips and Strategies for Students With Disabilities: MyChildWithoutLimits.org highlights some great transition strategies to help students with special needs succeed in elementary school. Preparing Your Child for Elementary School: OneToughJob.org produced this blog post; it offers quick tips for helping your child transition into elementary school. Transitions to School: What Helps Children Succeed? : This post from the American Psychological Association features three strategies that can help students succeed in early learning programs, whether in PreK or elementary school. One of the most insightful suggestions is for teachers to build strong parent partnerships, and there are several ideas for accomplishing that. Tips for Parents on a Successful Transition to Middle School: Middle school is a time of incredible growth for adolescent students, and these years have an impact on helping students gain and develop their sense of independence. This article from GoodTherapy.org offers four comprehensive tips for helping middle schoolers grow socially and emotionally. 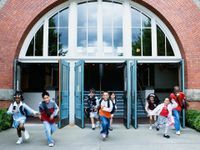 Transition to Middle School From the NEA: Retired teacher Peter Lorain wrote this for the National Education Association, offering ideas for schools that can help elementary students transition successfully into middle school. Lorain also provides strategies that involve all stakeholders in the transition process. Making the Transition to Middle School -- How Mentoring Can Help: From the Department of Education, this guide provides plenty of tips and ideas for using mentoring to help students transition from elementary to middle school. The PDF guide includes links to helpful outside sources, as well as summaries of the best research on the subject. Smooth Sailing to Middle School: Author Joy Jameson Lea of the Association for Middle Level Education provides practical tips and advice for incoming middle school students and their parents, in this article. Another useful source from AMLE for teachers: "Welcoming Students to Middle School." Helping Your Child Transition From Elementary to Middle School: Marie Hartwell-Walker highlights strategies for parents and students to successfully make the jump to middle school. Helping Middle School Students Make the Transition Into High School: This comprehensive guide from Education.com has a lot of valuable ideas and strategies for educators and schools, offering tips for providing social, emotional, and academic support for incoming students. There are suggestions for connecting middle and high school educators and engaging parents. 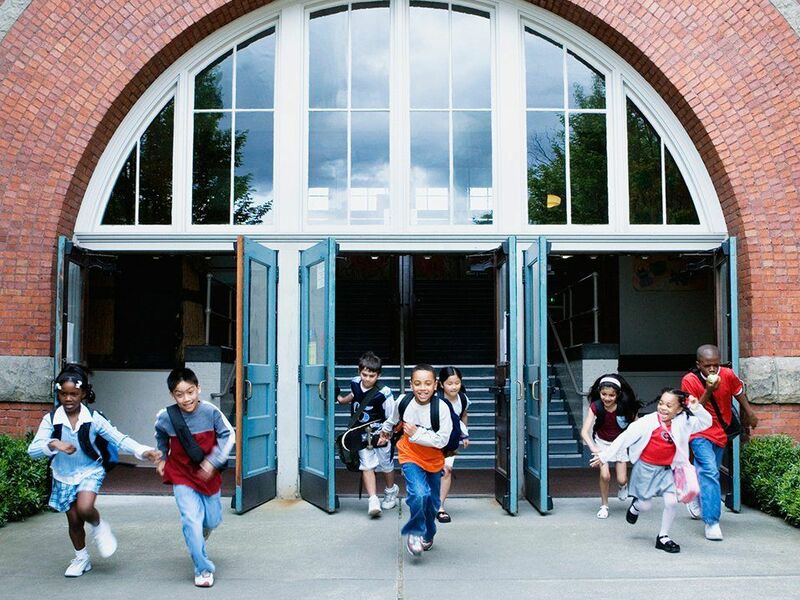 Ensuring Successful Transitions From the Middle Grades to High School: AdLit.org produced this blog post, which features expert recommendations and examples of what a successful transition program might look like. There is great information here for parents, administrators, and educators. 3 Tips to Help Your Teen Transition to High School: There are just a few tips in this article from U.S. News & World Report, but each one can have a positive impact on your teen's freshman year. Transition to College -- How You Can Help Your High School Senior: From CollegeParents.org, this blog post features helpful tips and food for thought for parents of high school seniors. It’s a great starting point for parents, and there's plenty here to help students start their post-secondary education off right. High School to College Transition -- Three-Part Series: This Huffington Post series from Brian Harke, Dean of Students at the University of Southern California, is a great primer for parents of incoming college freshmen. Harke covers how to put some realistic expectations in place, and he also touches on academics and social challenges. Tips for Teens: How to Find Your First Real Job: How do you land that first job? Author Randall S. Hansen -- founder of Quintessential Careers, an online career development website -- provides a solid overview for teens in this QuintCareers.com article. Another great article from Hansen you should be sure to read: "Next Step After High School? Some Alternatives to College." Tips for Your Kids: Finding a First Job Out of School: How can parents help a high school graduate in the job search? This article from Healthline provides some practical tips and six steps that parents can turn to for guidance. 3 Things Everyone Should Know Before Growing Up: After graduation, many teenagers are in a rush to grow up and be considered an adult. This article from NPR offers a few interesting insights that would be beneficial for any recent graduate considering their next steps in life.